You’re the driver. You are in command. You deserve a seat fit for a Starfleet Captain. Well, now you can have one. Two if you want. But you’ll still be in charge, don’t worry. 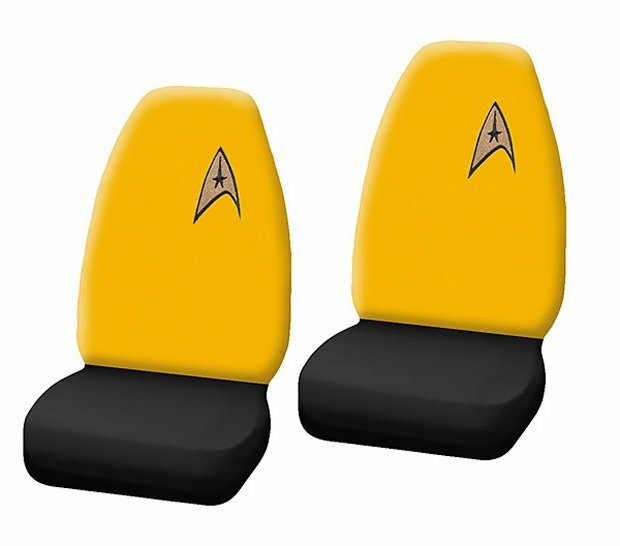 These Star Trek Bucket Seat Covers look awesome, especially if you have a black interior. These seat covers are designed to fit most high and low-backed bucket seats with no armrests. They are easy to install with elastic straps and once you do, you will feel like a Captain in command; your ship on the outer rim of the galaxy, and the warp trail at your back.